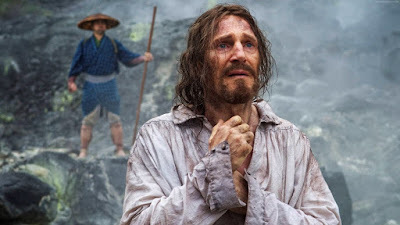 Christianity is considered such an outdated belief in Hollywood, that I can’t go by a month without a movie being made that doesn’t make some passing reference in how little good it does in people’s lives (from the people making the movie, of course). I do not bring this up to debate artists personal beliefs, as they are free to believe (or not believe) in whatever they want, and they are free to use those beliefs (or lack therefor) in whatever manner they wish to make a movie. I have liked movies that disagreed with religious and political beliefs of mine, and I have disliked movies that did. What has been happening is that you have people who do have strong beliefs making movies that are less actual movies, and more responses to Hollywood. Hollywood then turns around and pushes back. It is not healthy for anyone and just leads to friction between the people who make movies and the audiences who pay to see them. Martin Scorsese is considered one of the most controversial film makers of all time who has also happened to make some of the greatest movies I’ve had the pleasure of viewing. 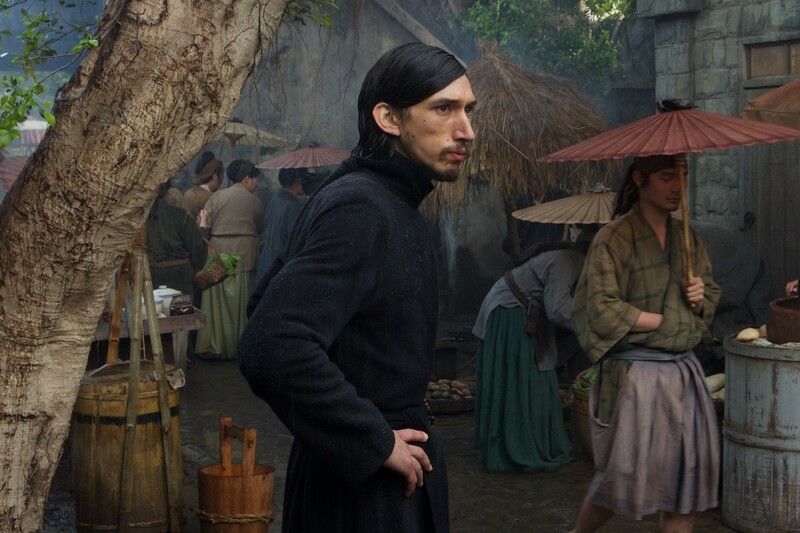 He describes himself as agnostic and has spent years making movies for and against religion. The church is usually not portrayed very positively in his movies. Yet with “The Last Temptation of the Christ,” he showed a rather sympathetic view of Jesus while also struggled with the idea that Jesus was God and man at the same time. He clearly had issues with the idea, but he was more than willing to at least explore them. 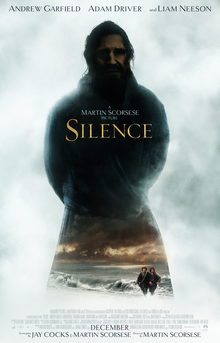 With “Silence” I get the sense he has taken a step back, looked at how the church used to preach the gospel, and has come to the conclusion that the ideas behind the church are sound, but that evil and weak people tend to ruin things. 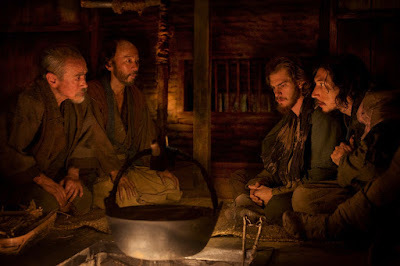 Take a scene where priest Sebastiao Rodrigues (Andrew Garfield) is talking with his captor, a high ranking Japanese official. The Japanese official tells him “you Christians don’t understand Japan.” Rodrigues replies (with convictions) “maybe it’s Japan who doesn’t understand Christianity?” The two take a long look at each other. One is determined to break another while the other is determined not to break himself. Both have been raised with values that neither want to deny. In some ways, they aren’t too different from each other. The Japanese, however, see the Christians as a threat to their way of life and the natural order of things. The Christians, on the other hand, see Japan as lacking the truth, and are concerned about the people enough to willingly go into this foreign country and speak that truth knowing that the cost could be their lives. Now, from the Japanese perspective, this is foolish. They don’t want your Bible. They have no use for your God. One of the characters believes that the Japanese version of Son of God is the sun that rises every day. So why bother? Yet Scorsese appears to have a real respect for the Christians who go to preach the gospel in Japan despite the risks. To him these are not people who are trying to disrupt the established order. These are people who genuinely care about the people of this country and simply want them to know what they perceive to be the truth. He finds nothing wrong with that. The question then, remains, how far do you take this? Because Japan is more threatened by ideals than by the people, they go to great lengths to get the preachers to deny the existence of God. Probably because, with Christian teachings, death is not something to fear. Sort of hard to keep order when your citizens don’t fear having their heads cut off with katanas. 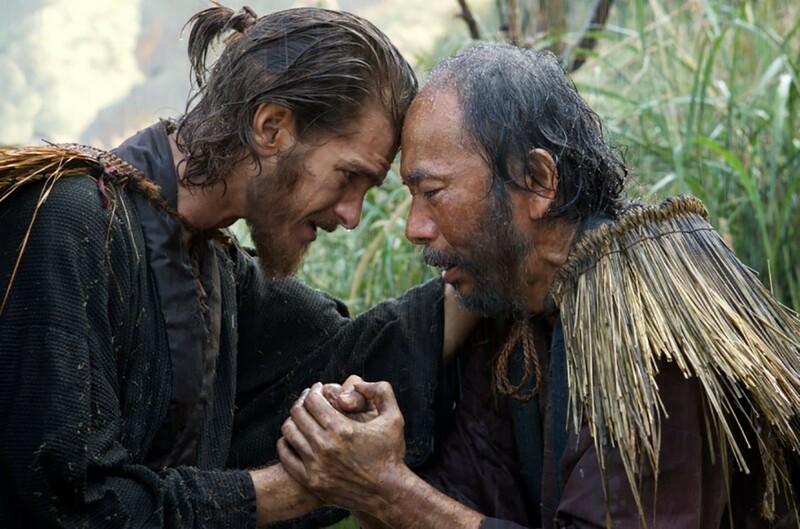 The most complex character in the movie is Kichijiro (Yosuke Kubozuka), who believes in his faith, but is genuinely afraid to die, and thus denies Christ whenever the choice to live comes up. For Rodrigues this is a serious detrayal of Christian doctrine, but continues to forgive him because he sees no evil in the man. It’s nice to see a preacher who is not too caught up in technicalities. Word of the movie coming out from screenings is that this was a brutal film to watch. While there are brief scenes of violence, the brutality comes not from the violence, but on the preassure placed on the main characters. Bad things happen to good people simply because they believe in something the government frowns upon. The people are put in a situation where they must deny their values or be killed. It hits close to home, I believe, because this isn’t something that has really gone away. The modern-day example of this is ISIS, who forces you to believe in what they believe, or you will be killed (you might even if you play along). Modern day gospel isn’t so different from the 17th century. There are still people who hate Christians and their message and want to silence them. In America, we openly mock them. In response, Christians get mad and make terrible movies like “God’s Not Dead.” “Silence” challenges viewers to take a step back and see Christians as humans. Humans who have your best interest at heart. Also, these are humans who love people dearly, and will put up with a lot because they believe the truth will benefit more than a lie. They put up with their torture with love and patience. If there is to be true diversity, it can only happen if people with differing beliefs can learn to respect one another. With how politics works these days, I fear we are nowhere close to that. Parents, there are a few scenes of torture. Nothing too over-the0top, but brutal in brief moments. Recommended for ages 15 and up.